Cost Breakdown: Initial payment covers the cost of equipment and 1 year of cloud service. Only the annual fee need be paid thereafter. Unless otherwise noted in writing, loaner cameras must be returned to Project NOLA upon termination of participation. 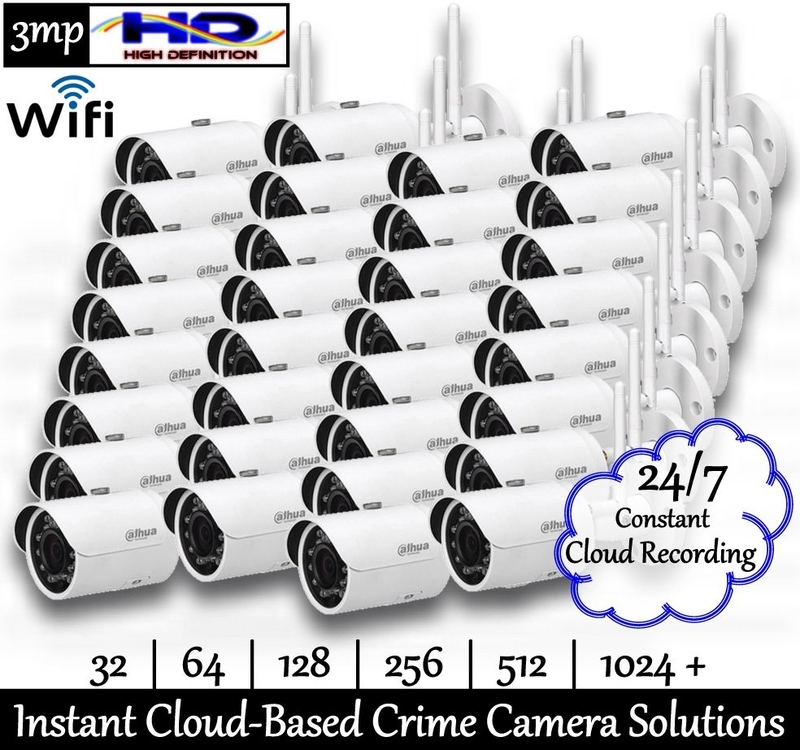 Complete 32 crime camera package, featuring easy to install Dahua 3mp WiFi Day/Night Weatherproof cameras and 1 year of Project NOLA cloud service with tech support. The most cost efficient city-wide High Definition crime camera solution in existence since 2010, Project NOLA only costs a small fraction of traditional networked solutions although offering greater reliability and 39x higher picture quality! Infinitely scalable, simply select the number of crime cameras that your community wishes to start with and advise us who may be authorized to monitor video in Real-Time and/or review recorded video.